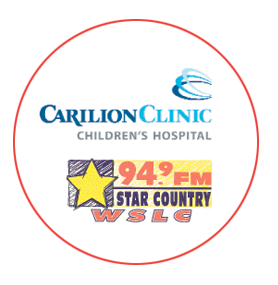 The Radiothon’s focus is to raise funds for equipment and services for the Carilion Clinic Children’s Hospital. With donations, children in our community are able to receive, as close to home as possible, the care and treatment they need, regardless of their ability to pay. It impacts young lives battling virtually every type of childhood illness and injury. Life Ring also makes sure that the children at the hospital receive Christmas gifts!